Elif is a student at the Seattle Academy of Arts and Sciences. For her senior project, she is contributing to CHS. Photo Center NW has hosted photography galleries and lessons in Capitol Hill since 1996. This summer, the 12th Avenue center is preparing for a shift in leadership as it welcomes Michelle Dunn Marsh as its new executive director. “I see Photo Center NW as an educational arts institution leading the conversation on the creation and dissemination of significant photography in this region,” Dunn Marsh tells CHS. Dunn Marsh comes to the nonprofit in a time of growth. In 2007, people involved with the center say it struggled to remain open and considered shuttering some of its resources to cut costs as the economic slowdown set in. But its place in the photographic community and a shift in direction toward providing a community arts center on 12th Ave helped turn the situation around. This is Seattle Academy student Elif Koc’s final week of her senior project working with CHS. She’s done a great job. Thanks Elif! Do well! Here is a Capitol Hill arts space conundrum for you. As development swallows up old, cheap(er) spaces that lend themselves to (sometimes) loud practice sessions, where can musicians find a nearby place to hone their craft? A company called Groove Universe is moving into the neighborhood with Groove Box, giving Capitol Hill musicians a new set of 16 rehearsal spaces. Opening in July, Groove Box can be found on the corner of 12th and Spruce. This summer, the music rehearsal space scene on the Hill will be going through some changes. As CHS reported, Pike/Pine rehearsal studio Chop House is relocating to make room for Liz Dunn’s new 11th Ave office and apartment project. Dunn said the process to find a new location for the Chop House is still underway. Groove Universe is behind a few other rehearsal venues in Seattle, The Brewery in the SODO district and The Institution in Belltown. While their other locations have been bigger, the new space planned to open later this summer is more of a boutique rehearsal venue. “We want these spaces to be kitchier and cooler than most rehearsal spaces. There’s a sense of community behind our buildings,” said Katrina Lorme, a musician herself and one of the owners of Groove Universe along with her husband and longtime Seattle rocker Charlie Lorme. The new space boasts clean rooms, great security, convenient parking, and wi-fi, she said. 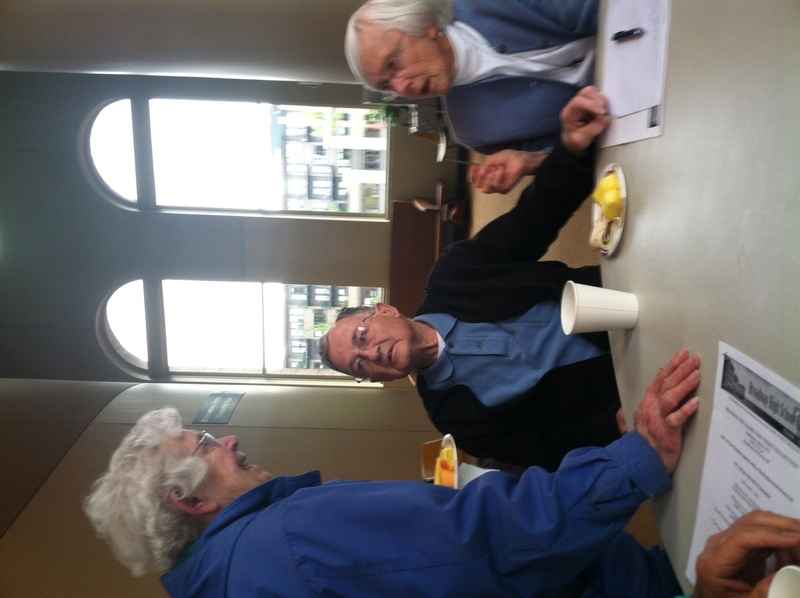 What is known today as Capitol Hill’s Seattle Central Community College was once the first high school in Seattle. Founded in 1902, Broadway High School educated Seattle teens on the corner of Broadway and Pine until 1946 when the demand for higher education rose dramatically as young troops came home from war. A group of the high school’s students and partners are beginning to plan the funding and start of a new historical project to capture memorabilia from the school’s past and incorporate personal narratives of alumni through filmed interviews. As you head over to the Broadway Farmers Market this Sunday, make sure to save room for Orale Chamo, a new Mexican/ Venezuelan hybrid food stand so authentic its owners tracked down the same flour they grew up with in their home countries to make their creations here in Seattle. The three ladies behind Orale Chamo describe their cuisine as Venezuelan and Mexican arepas “remixed.” Marisa Franco, Gloria Zambrano, and Lex Mederos, longtime friends and recent Seattleites, decided to bring together two different cultures of food to create a fresh experience. The stand will operate — for now — exclusively at the Sunday market on Capitol Hill. An initial struggle in the operation was finding the authentic ingredients that the women used growing up. “We wanted the same brand of flour that is actually used in Mexico and Venezuela, and because we are new to Seattle, it was hard to figure out how to find that at first,” Zambrano said. Wednesday, kids across Seattle opted out of school busses and carpooling with parents to bike to school. Capitol Hill’s Stevens Elementary students joined the big ride on a pretty nice day for pedaling. 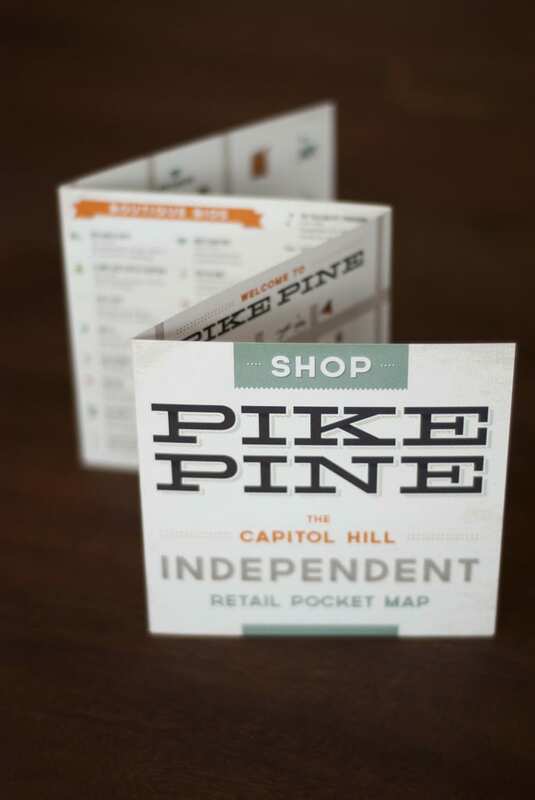 Organizers are hopeful for an increase in shopping traffic at Capitol Hill’s retail hot spots as a freshly created batch of Pike/Pine maps will be distributed throughout Seattle. Produced by the chamber of commerce and paid for by the Capitol Hill Block Party, these maps are intended to boost the reputation of retail in a neighborhood known for its nightlife. “It’s important to maintain a healthy mix of daytime and nighttime in the community,” Michael Wells, executive director of the Capitol Hill Chamber of Commerce told CHS. “That can only happen organically. The nearly $10,000 budget for the maps came from the Capitol Hill Block Party to support the community where their popular venue takes place. Through the transition to a three-day festival attracting more than 30,000 people, Block Party organizers have increasingly worked with Pike/Pine residents and businesses affected by the festival to mitigate impact of the popular event. The maps were illustrated by DEI Creative, a Capitol Hill design firm. The maps are created on the premise that tourists to Seattle tend to do most of their sightseeing and shopping within the downtown area. Organizers are optimistic that the colorful map of Pike/Pine will drive that crowd up the Hill. Wells and his committee have partnered with the Seattle Hotel Concierge Association to display the maps in several downtown hotels as well as Seattle’s Convention and Visitors Bureau. The map, mostly a marketing tool for tourists, indicates a healthy Capitol Hill retail community with over thirty destinations on the Pike/Pine corner alone. While targeted at tourists, for people who live and work on Capitol Hill, the map can be considered a sort of economic barometer for the bustling neighborhood. With more than 30 destinations highlighted, the map seems to indicates a healthy Pike/Pine retail community. Northwest Film Forum is turning to its biggest fans and Kickstarter to help it make the leap to digital cinema — while keeping one foot firmly planted in supporting a diversity of mediums. As the standard of film exhibition has become increasingly digitized, the forum, which is committed to bringing Capitol Hill great independent films from around the globe, has started to struggle to find films in the right format. Today, NWFF uses the classic 16mm and 35mm reels that have been around since the turn of the century but most films are being released exclusively in digitized, high-resolution hardware called Digital Cinema Package, or DCP. In fact, within the next year, 85% of the films the Forum wants to show will use DCP. At a place like Northwest Film Forum, both types of film exhibition will be showcased and celebrated. You can help at NWFF’s Kickstarter page. A $10 pledge gets you a free movie pass and a soft drink from the lobby. Molly Michal of NWFF believes in the importance of preserving old film exhibition techniques while still moving in the same direction that film is headed. At most hospitals, the ambiance revolves around harsh lighting and a lingering scent of cleaning products. This is not the case at the new Jet City Animal Clinic, a new full-service veterinary hospital on 12th Ave. The refined décor and flattering color scheme will make you feel more like you’re in a Pottery Barn showroom than a kitty clinic. Not to say that Jet City lacks the features of a medical facility — with surgical and dentistry suites, digital diagnostic imaging, a laboratory, and a pharmacy, Jet City Animal Clinic boasts a complete and state-of-the-art facility. Jet City has been open since January but is celebrating a grand opening Saturday April 27th. From 10 AM to 4 PM on Saturday, you and your furry companions can come to celebrate and get a sense of what the clinic is all about. There will be tours of the hospital, demonstrations, and a raffle to celebrate the day. Anderson said the clinic is heavily involved in the community and partners with local pet-focused businesses. In addition, the clinic has taken on a role at two area dog parks: I-5 Colonnade and in the Regrade. “As part of a pet family myself, and local resident, I wanted to provide the Capitol Hill community and surrounding neighborhoods with an exceptional veterinary experience,” said Dr. Anderson. To learn more about Jet City Animal Clinic, drop by to 822 12th Ave for the grand opening or visit jetcityanimalclinic.com.